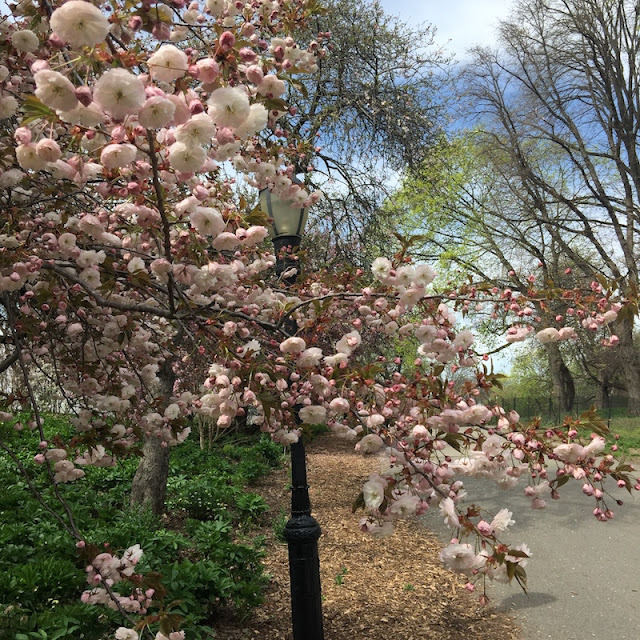 Riverside Park, New York’s historic and revered park on the western edge of the Upper West Side of Manhattan, presents a complexity of routes for exploration. Walking a sunny path next to the Hudson River can connect the explorer to the timelessness and tranquility of the water. A walk through the interior of the leafy park is perfect for the naturalist intent on observations of trees and plants. 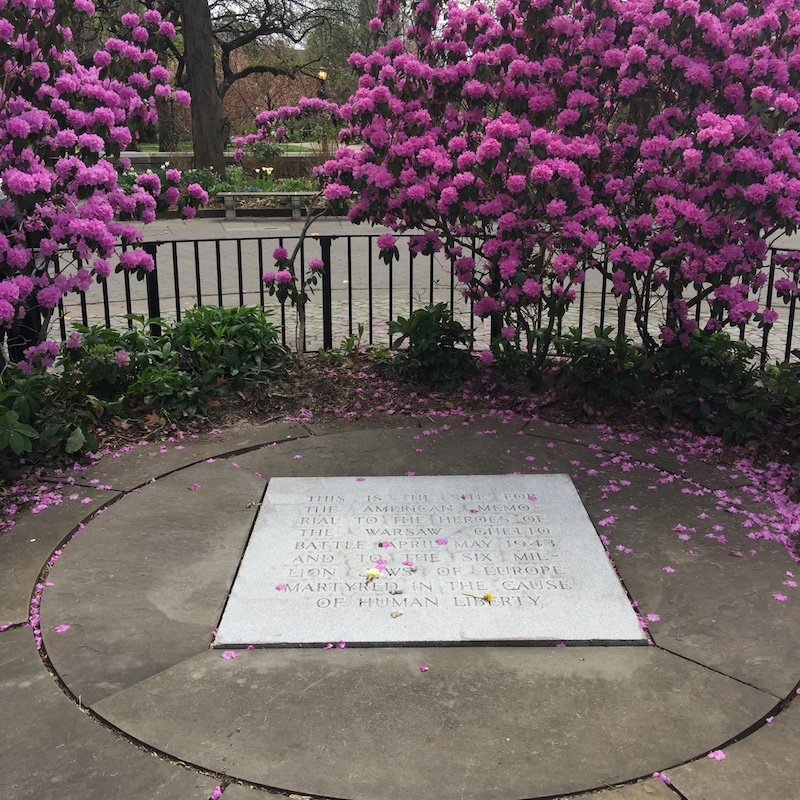 A walk along the higher ground near Riverside Drive is recommended for historians, as dozens of memorials richly illustrate the concerns and values of New Yorkers over the decades. Yes, please, we want all of the above. A full picture of Riverside Park requires walking back and forth among the tiered slopes, so the walk is less a straight line and more a meandering path. 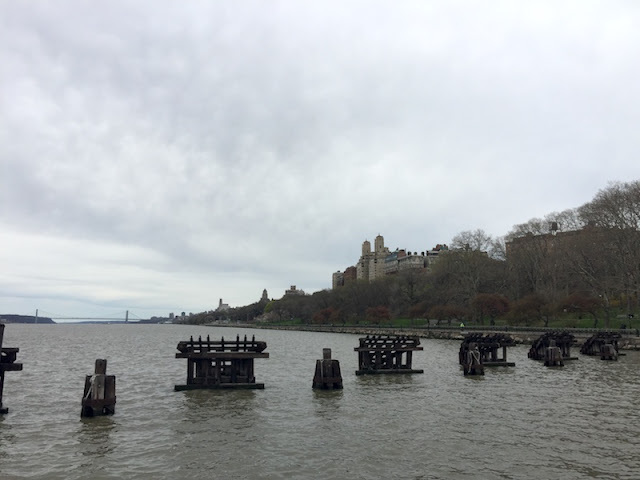 Walking along the water here (increasing biking and running are the main pursuits) may be excellent for exercise and recreation, but much is missed in terms of New York history. As the city continues to revamp the waterfront, it’s worth contemplating the ways in which these efforts inadvertently disconnect people from a shared past. A fine day can be had walking the waterfront in the park, for example, but you’re going to miss Joan of Arc. The terrain cascades like drapes over descending terraces from the rocky walls of the Upper West Side down to the Hudson. Frederick Law Olmsted, and later Calvert Vaux, originally designed Riverside Park to mimic the landscape of the Hudson Valley. So, at its inception, the park offered a break from the turmoil and grit of the city. The park expanded and evolved through the decades, with the bucolic site serving as the hallowed ground for many memorials, including the tomb of General Grant at its northern end and the Soldiers’ and Sailors’ Monument near W. 90th Street and Riverside Drive. A dozen more monuments line the park, including the particularly fine Fireman's Memorial near W. 100th St., dedicated on September 5, 1913. In the 1930s, Robert Moses added his own urban vision to Riverside Park. His “West Side Improvement” largely shaped the tiered construction of the park with the building of wide promenades and extension of the shoreline. Moses oversaw the park expansion as part of building the Henry Hudson Parkway, the city’s main western automobile artery. During the project, the rail lines were moved underground, moving the rail cars through the Freedom Tunnel, as it is known, and still used by Amtrak. The highway further cut off the Upper West Side from its park. Along the river, the path in Riverside Park narrows above W. 83rd Street. Pedestrians should exercise caution while sharing the lane with faster traffic. Better yet, walk back up to the park's interior. 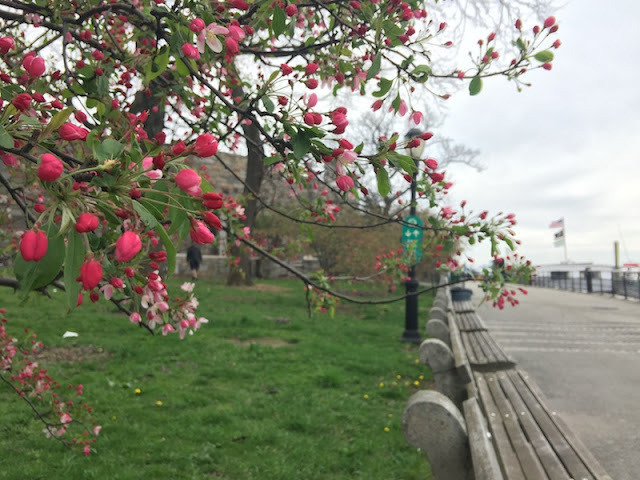 A walk north from Pier 1 to the W. 79th Street Boat Basin or beyond makes a good walk for enjoying the water and the boats, but winding back to the higher slopes brings extra layers of depth. 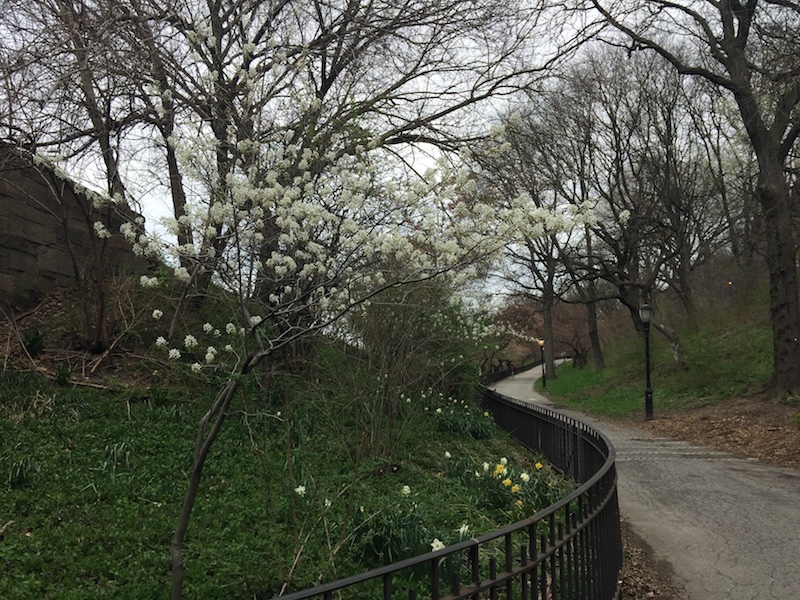 An underpass near W. 83rd St. affords the opportunity to return to the park promenade from the river. The large landscaped plaza at the southern end of the promenade near W. 83rd Street is called the Warsaw Ghetto Memorial Plaza, named for the plaque at its center. Once planned as a larger memorial, the plaza still serves as a place to remember the lives lost in the Warsaw Ghetto, the story of its uprising, and all who died in the Holocaust. Dedicated in 1947 it was one of the first such monuments in the United States. Every year, people gather here on April 19 to remember the anniversary of the Warsaw Ghetto Uprising. 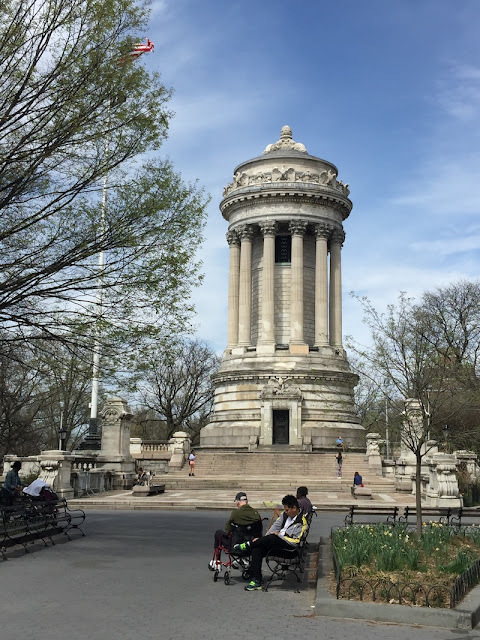 From the plaza, wander north to the Soldiers’ and Sailors’ Monument near W. 89th Street and then to Joan of Arc Park near W. 93rd St, both along pretty sections of Riverside Drive. The Soldiers’ and Sailors’ Monument, inspired by a classical monument of Lysicrates in Athens, commemorates Union army soldiers and sailors in the American Civil War. Unveiled on Decoration Day (now Memorial Day) in 1902, the site continues to host observances on the holiday. 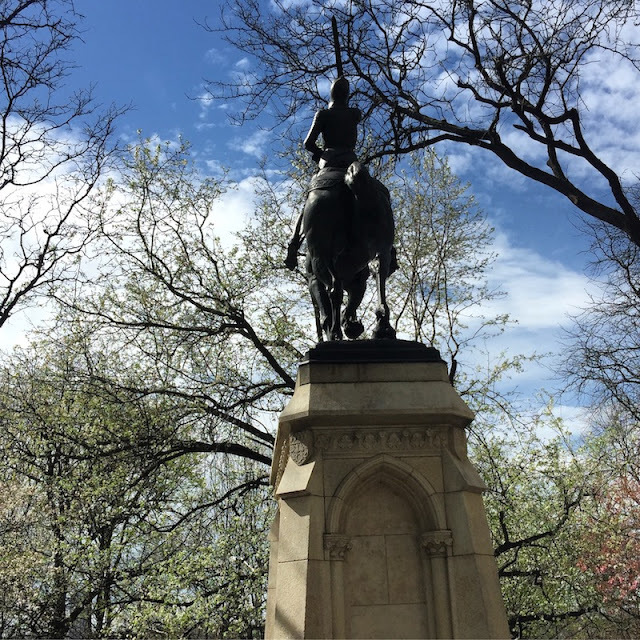 Before her marriage to Archer Milton Huntington, her first marriage and his second one, Anna Vaughn Hyatt created the equestrian Joan of Arc statue in 1915. For the New York statue, she won a design competition sponsored by fans of Joan to commemorate the 500th anniversary of the saint's birth. According to D. E. Cook's biography, Woman Sculptor: Anna Hyatt Huntington (1876-1973), the statue was the first equestrian statue in New York by a woman. Three other copies exist elsewhere, one in France. 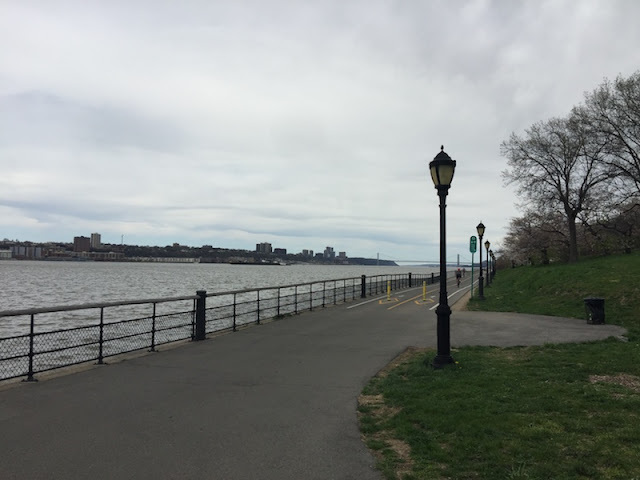 Walking the length of Riverside Park from 72nd Street to 125th Street makes for an ambitious walk, especially with many backtracks and wanderings. It’s a distance of nearly three miles. A natural break occurs around W. 96th Street, so it’s fine to take in the northern and southern sections on separate days. The subway at W. 96th Street and Broadway can help with the way home. Obviously, from the look of these pictures, the cherry blossom season would be a good time for a walk in Riverside Park. Images by Walking Off the Big Apple from April 17, 2017.